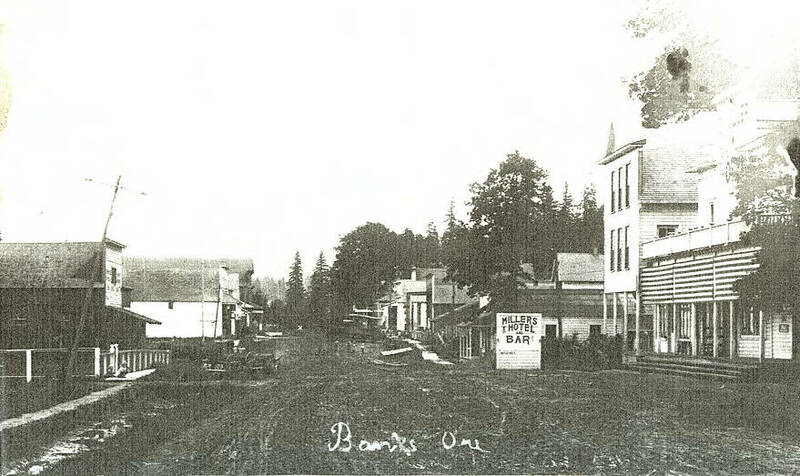 Main Street in Banks, circa 1910. Buildings on the left: blacksmith shop, Kinton & Schulmerich grocery, Powne & Jenson grocery (with dry goods), and the Dance Hall. On the right: Millers Hotel and Bar, the Banks Herald building, the Washington County Bank, and the pharmacy of Dr. William B. Munford.